We’re Here To Help Your Fundraiser Taste Delicious! Natural flavors. No Preservatives. More than Cookies. Charley’s Cookies fundraising program is designed to help support the financial needs of schools, as well as, adults with disabilities. With our fundraising program, we believe in promoting equal value for each school by giving 50% of everything sold back to the school! A program of Ariel Clinical Services in Grand Junction, CO, is designed to teach job skills to adults with developmental/intellectual disabilities in a supportive environment so that they can better prepare to work a job in the community. We offer fresh oven-baked cookies and use only the finest ingredients. Just really great cookies with a cause. Charley’s Cookies offers fresh, oven baked cookies and uses only the finest ingredients. 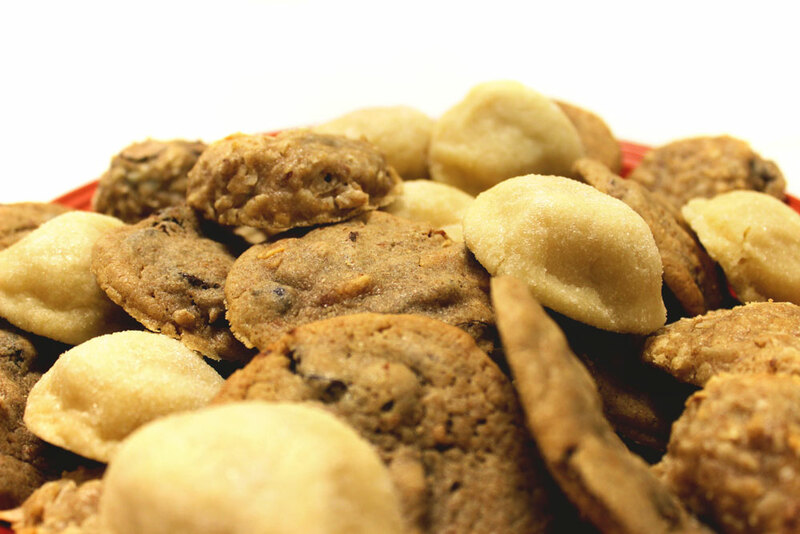 All of our cookies are hand scooped and are free of shortening, artificial flavors, preservatives and trans fat. Charley’s Cookies should be consumed within 48 hours. Cookies will last for 5-6 days with refrigeration. and can be frozen for up to 8 months. Because they are baked without added preservatives and are made with all butter recipes, they should not be left in the sun or in areas warmer than room temperature. How can I start fundraising with Charley’s Cookies? Teacher or Group Leaders should first call us at 970-361-2509 to sign up and notify us about your upcoming fundraiser. Decide on a fundraising period for students or team members to take orders and collect money (2-3 weeks is standard). What do we do after the fundraiser is over? Once the fundraising period has ended, the Teacher or Group Leader will collect all order forms and money from students or team members. The Teacher or Group Leader will then contact us at 970-361-2509 or visit us at 2938 North Avenue, Unit C, Grand Junction, CO 81504 to place the order. Funds remaining after placing order will go towards your group, school or organization. We will contact Teacher or Group Leader once cookie orders are ready to pick up. Made with plump raisins, red skin peanuts, and dark chocolate chips. Loaded with sweet coconut, roasted almond bits, and dark chocolate. Cream cheese blended into cookie batter and lightly rolled in sugar. A combination of chocolate chips, white flour, and whole wheat flour. A gluten-free mix of chocolate, coconut, and roasted almond slivers. Oatmeal rolled in flour, white & brown sugar, with a hint of vanilla. Interested in a Charley's Cookies Fundraiser? Teacher or Group Leaders should please sign up and notify us about your upcoming fundraiser.